Bhittragaon temple belongs to the period of Gupta (6th Century A.D). 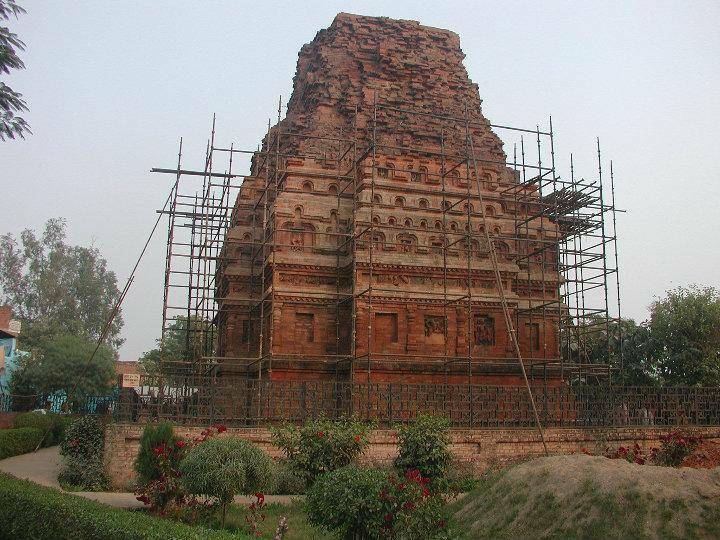 The 15.4 m tall temple was built using mud mortar and red bricks. Tourists can see the carvings on the exterior walls, made on these brick and terracotta panels which are astonishing. Inside the temple tourist can see a sanctum and a porch. The lightning has destroyed the upper chamber. Temple has passed through many eras and stand still.